This path starts from Burnlip road at grid reference NS 73272 67788 running south west for 380m then turning south for 160m and finally west south west for 180m to its finishing point on Garliston Road at grid reference NS 72796 67324. Start, note the sign- Private. Apparently. There are no signs that there is a right of way there, and a no access (Gartverrie Farm Only) sign could be construed to deter users, even though it is probably aimed at road traffic. 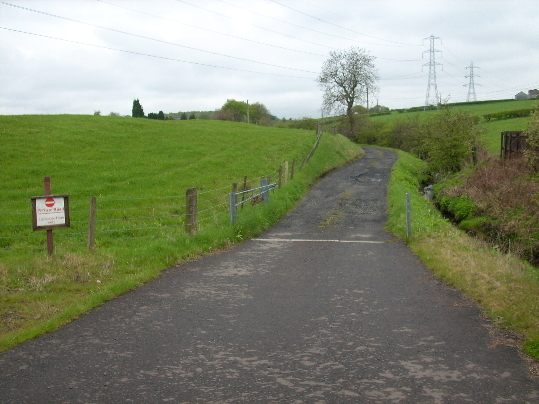 From here the path runs in a south westerly direction along a 3m wide potholed tarmac road (part of access to Gartverrie Farm) on the south side of Gartverrie Burn. Just as the path turns into Gartverrie farm the right of way leaves this road and follows the course of the burn on the south bank. The way appears barred by a three strand barbed wire fence, and to follow the ROW you must go around the end post of the fence. From here the path is very overgrown and is blocked in part by fallen trees and thick thorns and shows little or no sign of use (probably due to the access to the ‘bridge’ being fenced off). 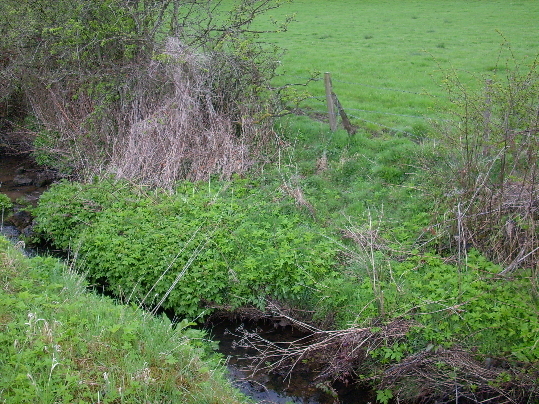 Following the south side of the burn, you arrive at a metal sleeper that facilitates the crossing of the burn. The railway sleeper bridge itself is easy enough to negotiate, however it does sit at a slight angle. A few steps beyond the bridge, the path is obstructed by a two strand barbed wire fence at a height of 1m from the ground. At this point a track can be seen heading north, and it is apparent that path users are crossing the burn at a narrow point at NS 73101 67641 instead. 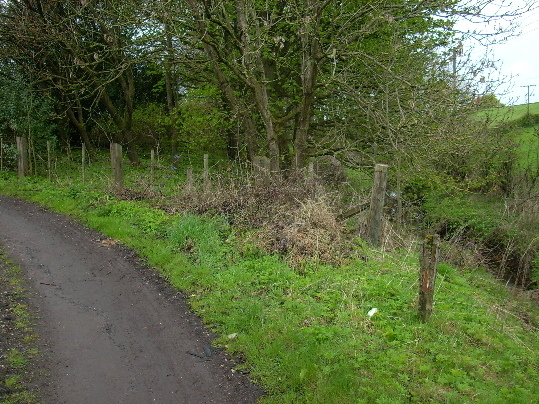 The track then turns south, following the line of the burn and a strip of hawthorn trees and finally west south west cutting away from the burn where the burn takes a sharp turn towards a small pond, and continues to its finishing point on Garliston Road opposite the north east corner of Gartsherrie Wood. 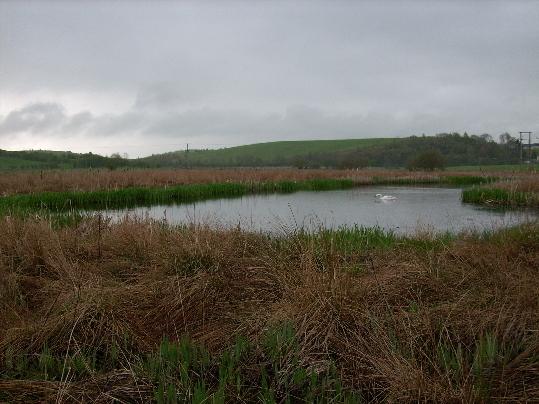 From the point at which the right of way turns south to its termination it is along the edge of a field and there is clear sign of regular use at this point (a birdwatchers hide is just across the fence, and the barbed wire fence has been covered in matting to facilitate crossing). 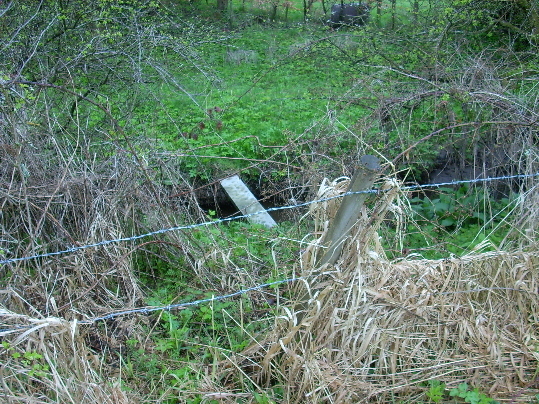 The right of way terminates at a broken gate on Garliston Road. Access to the road is gained by climbing over the gate, which is to be done with care. There is no stile or other type of access. 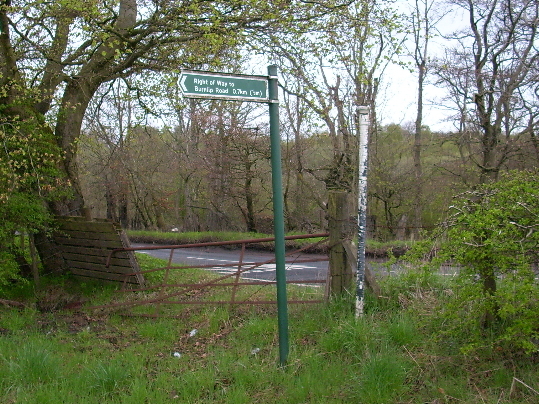 There is a green and white Council sign at the SW end of the route at NS 72796 67324, showing Burnlip Road 0.7km ½ mile. Thanks for your help with supporting our request to keep the Hartwoodhill bridge for the use of our walking group and anyone else who enjoys our right of way routes.